There is a huge population of fans that absolutely loves and cannot wait to hop over to the next DJ party or concert. 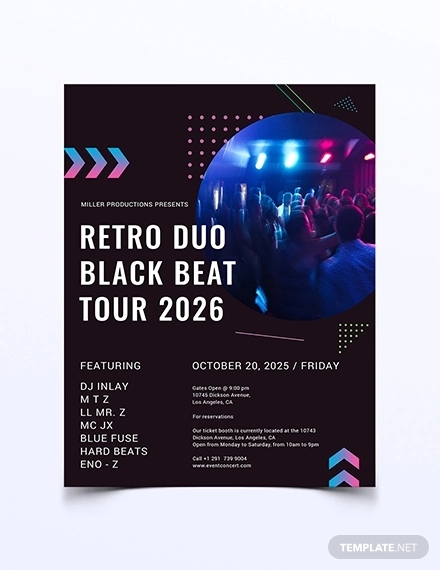 DJs are considered to be extraordinary suppliers of equally exciting music – spinning discs to create dance tunes one has never heard before.You may also see PSD Flyer Designs. Well, surely you would have seen that DJ gigs are hardly small-scale events. Most often, the footfall in such parties reaches thousands. Have you wondered how DJs market themselves so well? Flyers. 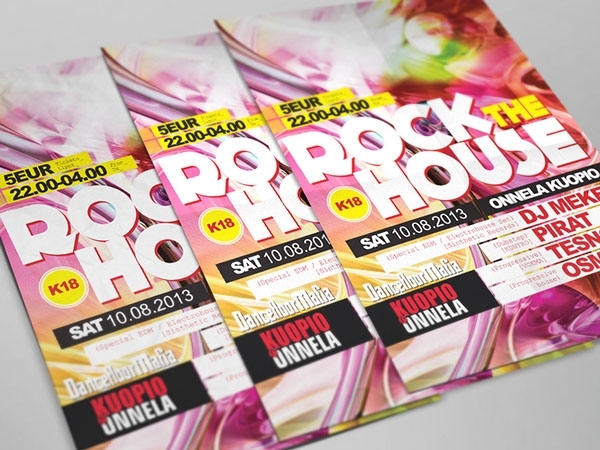 We share with you some awesome Flyer Mockups you could also use! DJs are quite famous for doing birthday events too. 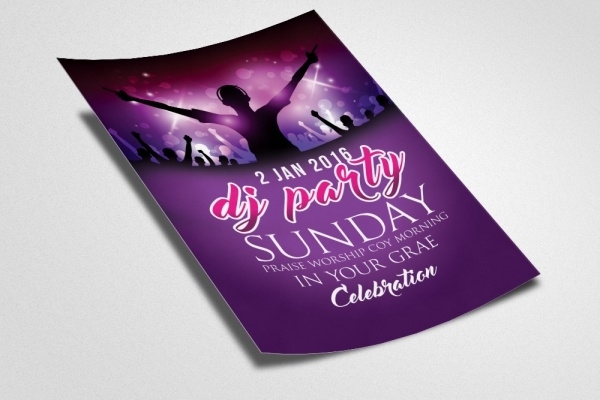 If your special day is on its way and you’ve a DJ planned and you want maximum friends and families from your neighborhood to go, why not download and customize this amazing flyer design for the purpose? 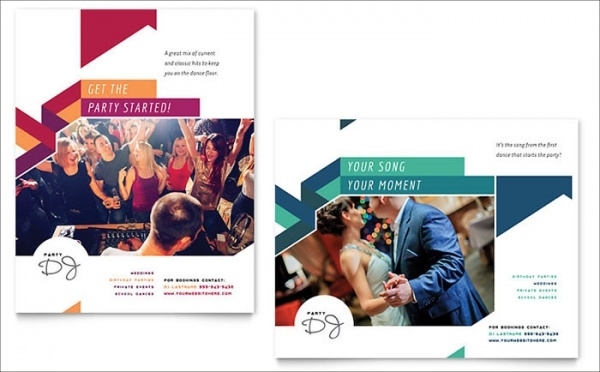 Whether it is just one disc-tuner or more than one, for your DJ party to be a total sellout, you can use this downloadable template right here. 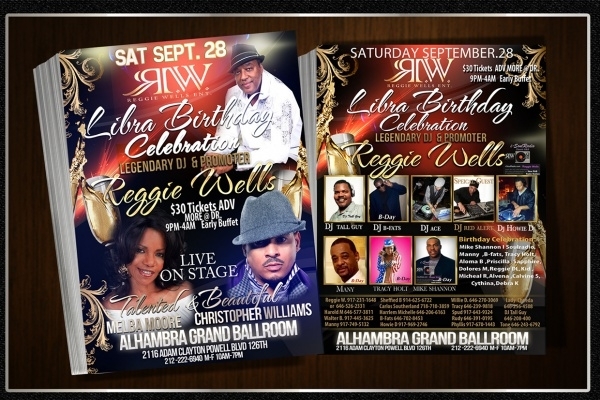 Customize it to create a fitting flyer design which has all the relevant details and promises to be memorable for the attendees. 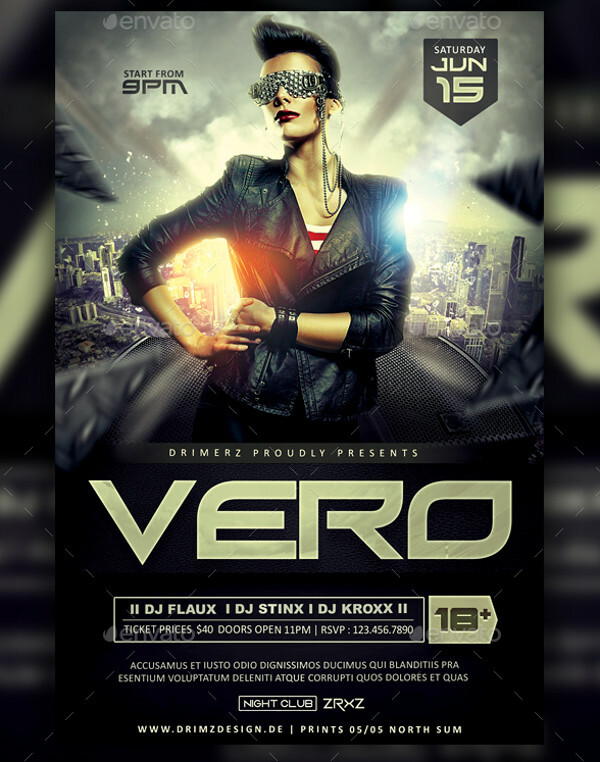 This design is apt for big and small event companies to use as promotional material or even as invitation to a DJ event hosted and organized by them. 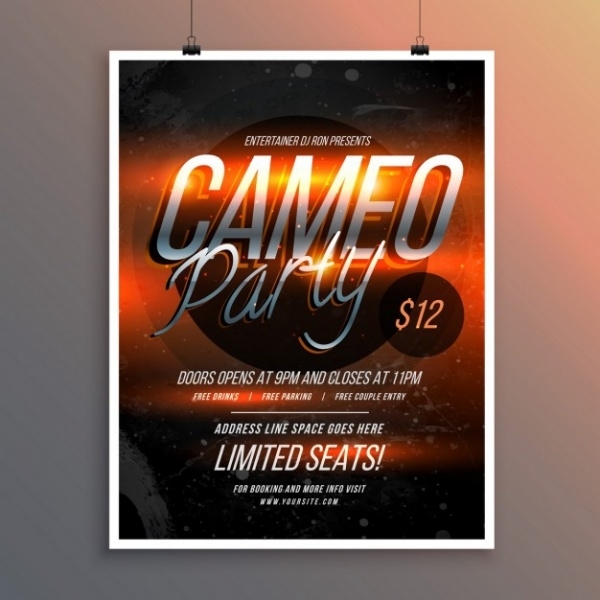 Full of brightness and creativity, it is absolutely going to be fun working with this mockup to create your event flyer!You may also see Bifold Flyer Mockups. 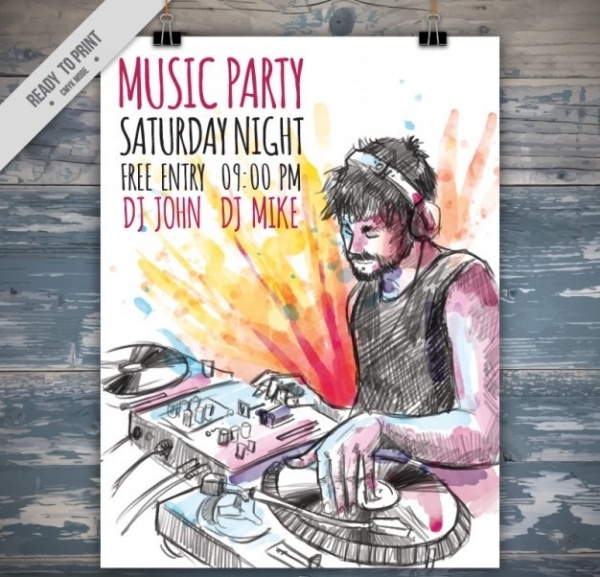 If you like the volume of the music to be turned up but prefer flyer design which talks only as much as it supposed to – check out a flyer design template in a minimalist avatar. It’s got rich browns and golds in its color palette. This is a fully editable sample. 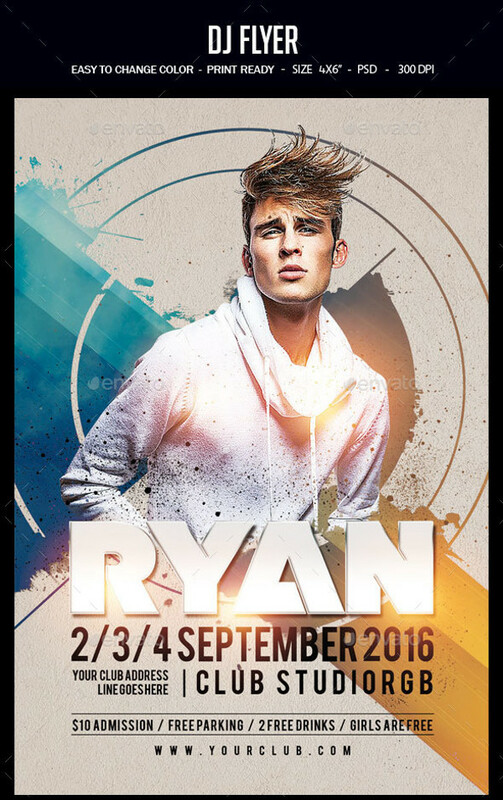 This is a premium club flyer design template. 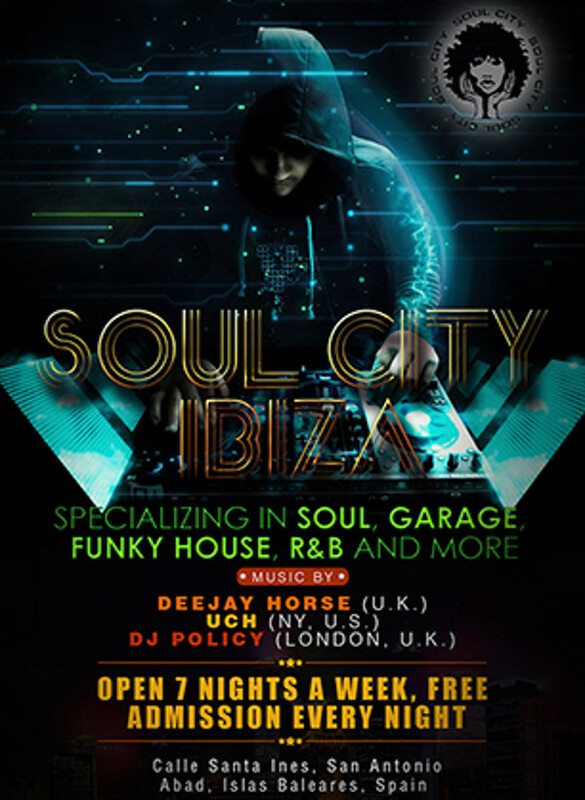 If club DJ gigs is your specialty and you have a session coming soon, why not use this flyer design to make it the talk of your town? The design and layout is instantly eye-catching and you could always turn it up a notch higher with your own creative touch. Many cocktail parties have DJs spinning great music. 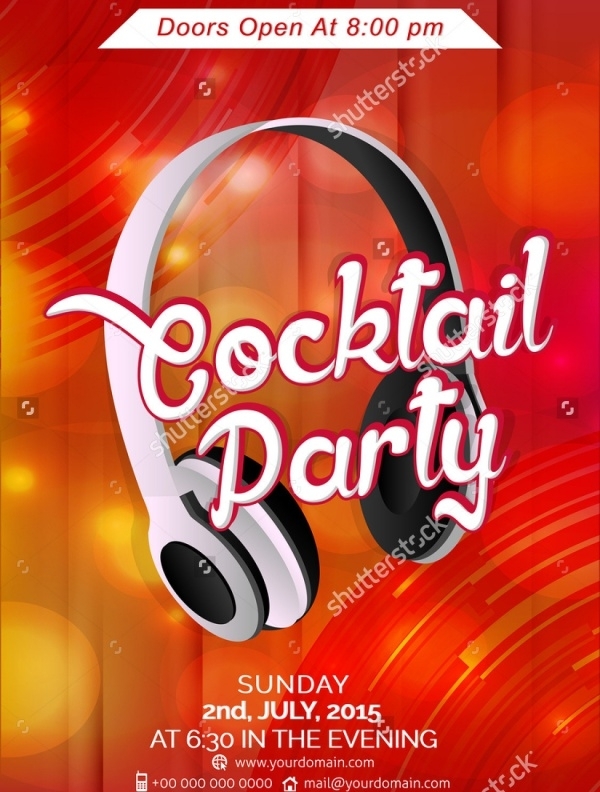 If you have a cocktail party in the works and you have invited DJs to perform, let all the party people learn about your plans through this amazing flyer. You can download the mockup and edit and alter text and design elements easily. 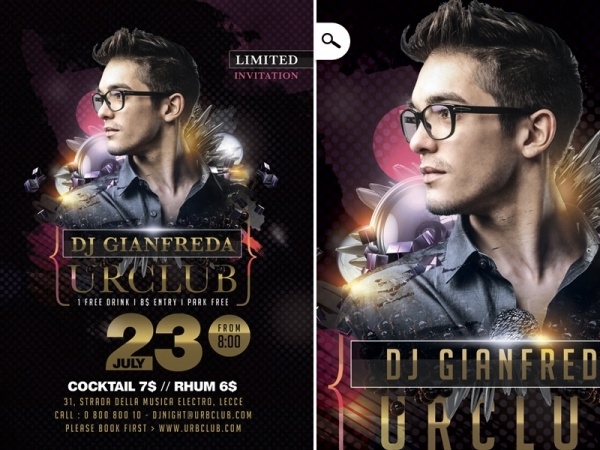 Advertise your upcoming DJ event in style using this utterly stylish and fashionable DJ flyer sample to do the job for you. Thanks to the editable elements present in the template, you can easily replace images and text. The template contains fully layered files and is smart object-enabled. 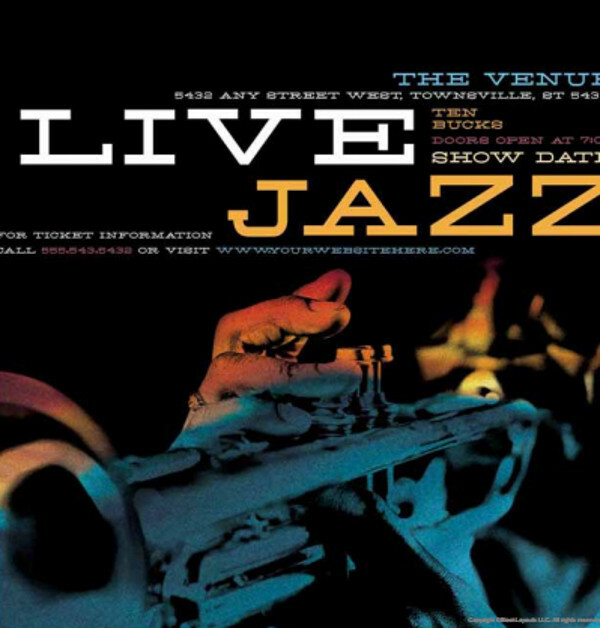 Check out this flyer sample to promote your upcoming dance or music event in a big way. 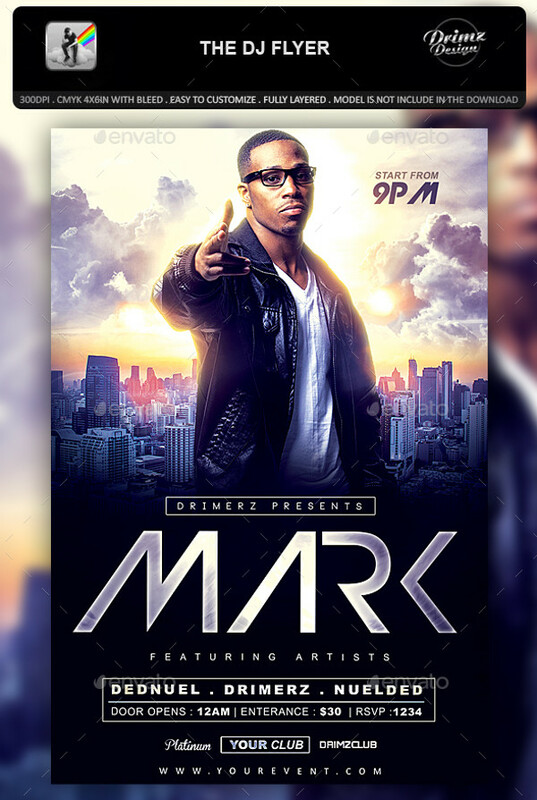 This is a premium flyer design and it contains all customizable elements so you have all the freedom to re-design this flyer template the way you want. 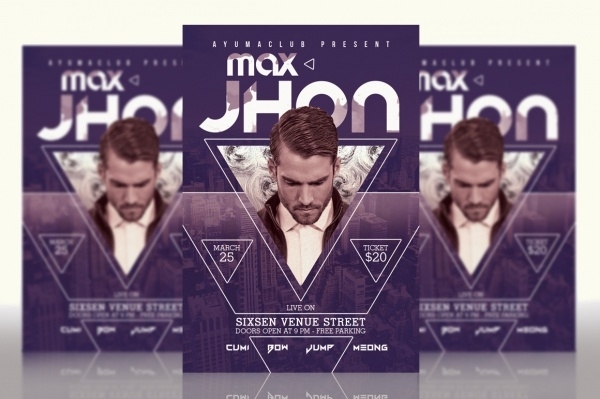 If you want a DJ flyer template which has got minimal design and more text elements, this flyer vector is the perfect choice. Not only is it attractive, the flyer vector has fully editable and customizable features, and a high display resolution. 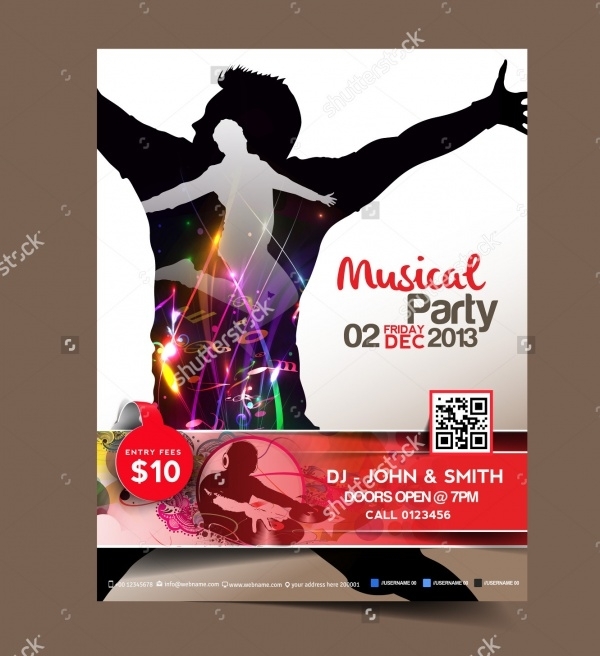 Here’s one more fully editable option which you could go with and recreate a DJ flyer design which would ensure the party lovers throng to your venue to see the DJ perform and you can be part of a full-on party experience. 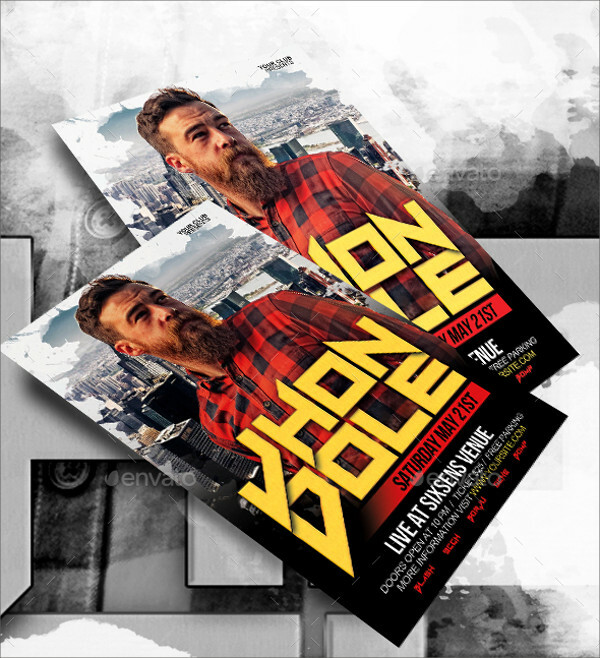 We have provided you with the best of the latest DJ flyer samples which will assist you in every way, to personalize and recreate a DJ flyer design that is more than just apt for your next DJ event! 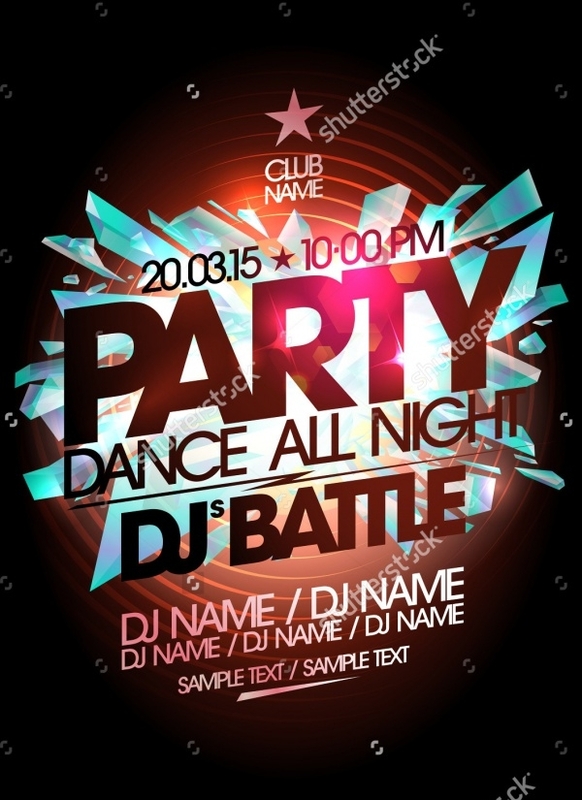 Download now and let your creativity come alive on these templates!